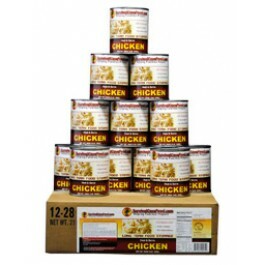 This Survival Cave 12 pack of canned beef and chicken is a perfect addition to your food storage program. With six cans each of beef and chicken, you’ll have all the great tasting meat you need for most types of emergencies. Both the beef and the chicken are pre-cooked so you can eat it right out of the can, if necessary, or you can cook it into recipes or warm it up and eat it. Designed to last for 30+ years on the shelf, this product actually has no set expiration date. Stock up on yours today! Having 12 cans of high quality meat available for emergencies is a great way to ensure you and your family will remain safe in almost any situation. 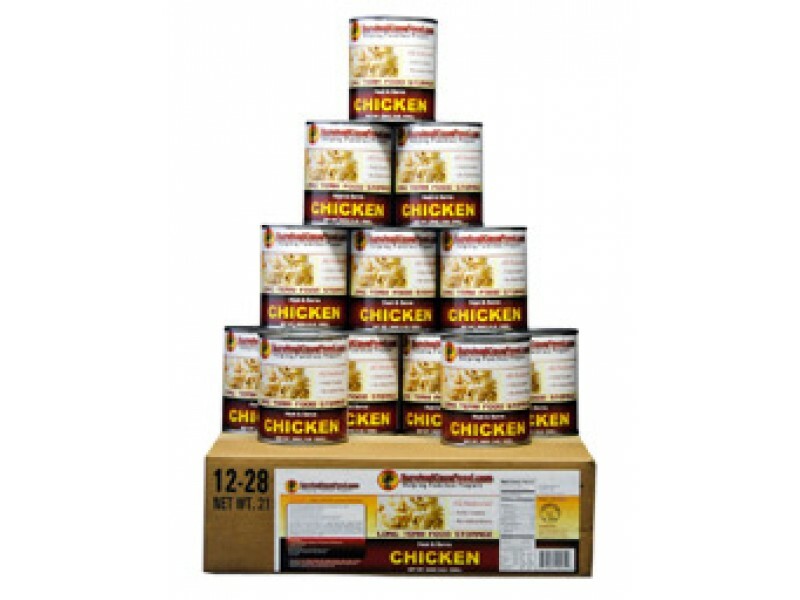 Each can provides you with a lot of high quality protein, which is extremely important during difficult or stressful times. If you want to be prepared for a longer term disaster, you can purchase as many of these cans as you need to prepare for the worst. These cans are easily stored away in a pantry, basement or other storage area. They stack easily, and as long as they are not opened, they will last for a very long time. Survival Cave uses only the best cooking and packing processes to help ensure all their products have the longest shelf life, which is one of the reasons they are a leader in the emergency food rations business. In addition to saving these great cans for emergencies, you can also pack them up with you when you’re going on a road trip, camping or hiking. This will help ensure you have the food you’ll need to survive in the event of an unexpected problem. However you decide to use these cans of beef and chicken, you’ll be glad you have them around when you need them.